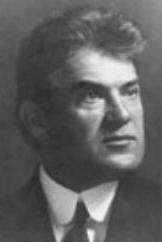 Franz Drdla (1868-1944) was born in Moravia, then part of the Austrian Habsburg Empire and today part of the Czech Republic. He studied violin and composition first at the Prague Conservatory and later in Vienna. His composition teacher in Vienna was Anton Bruckner, however, Drdla's music shows none of his teacher's influence. A well-known concert violinist, Drdla achieved international fame composing lighter music in the late romantic style. These works generally mixed popular Bohemian (Czech) or Hungarian melodies and presented them a la Viennoise. Was this music specifically written for piano quintet? Yes and no--Drdla's Op.30 is a set of eight pieces for violin and piano. No.4 achieved the kind of popularity as did some of Dvorak's Slavonic Dances. As a result, Drdla's publisher demanded he write the music for other combinations. A few months later, Op.30 No.4, christened Hey, Hay! by the publisher, appeared in a dozen different versions, mostly for small chamber music ensembles. The version for Piano Quintet was perhaps the most popular. During the first years of the 20th century, one could hardly escape hearing it in the cafes and restaurants of Vienna, Budapest, Prague, Berlin, London and New York. In one movement, Hey, Hay!, though it consists of three Hungarian dances, is really a character piece of a Viennese nature. While it obviously shows the influence Hungarian melody had upon Viennese music, Hey, Hay! is not the rough, uncultured folk music of the Hungarian hinterlands which Bartok and Kodaly recorded. Drdla's dance has been filtered through the refined palate of Viennese taste in exactly the same fashion that Brahms used to introduce the "Hungarian" music he wrote. Hey, Hay! is a tour d' force, by turns fast and exciting and then moody and melodramatic. Our sound-bite shows why this was one of the most popular salon works of the time.